It’s very easy to get into a rut, or to just continue doing what you’re doing because you’ve always done it, especially with running. But with just a little thought and planning you can achieve things you would never have considered if you just continued along your way. Stop, consider and plan, and big things can come your way. Genuinely ask yourself what makes you happy. What do you want? And don’t force the answer; this could take several days or weeks to realise. My last few years in the corporate world were spent setting goals for the sake of moving forward (promotion) and improving (bonuses). None of these goals were what I truly wanted. Needless to say I wasn’t enamoured by the prospect of getting the work done. Set goals based on what you really want to achieve or experience. If you’re not excited by the end goal it makes it very difficult to chase. Think in terms of systems. Go as robotic as you can. “If this, then that” kind of mentality. This removes some of the emotion and allows you to really strip down to the bare necessity of action steps. Thinking procedurally about your goals will help you focus on the method rather than the end result. This is the difference between dreaming about the achievement and working on the process. For athletic goals that means momentarily ignoring the finish line or podium in order to plan out time trials with the goal of gradual increases in speed or fitness. Once the systems mindset has been implemented the end goal can be contemplated. Specific, Measurable, Actionable, Reasonable, Time bound (S.M.A.R.T) goals are fine but they’re often limited by what is thought to be possible. Take away the Reasonable category and scare yourself. Dream big to ensure you stay inspired. You’ll be surprised by what you can achieve. I have (several) big flaws but one of them is not celebrating to little wins. I get a step closer to my big goal and I don’t ever give it a second thought because it’s not my big goal. But that stops you from enjoying the journey and also leads to burnout. If your big goal is running 10km and you manage to run 5kms without stopping you need to celebrate that little win. If your goal is Olympic glory and you qualify for the team then stop and enjoy the moment. It is another step closer and you should be proud of that. Allowing yourself to rejoice reinforces the positive mindset and gives you a nice little push to the next step. 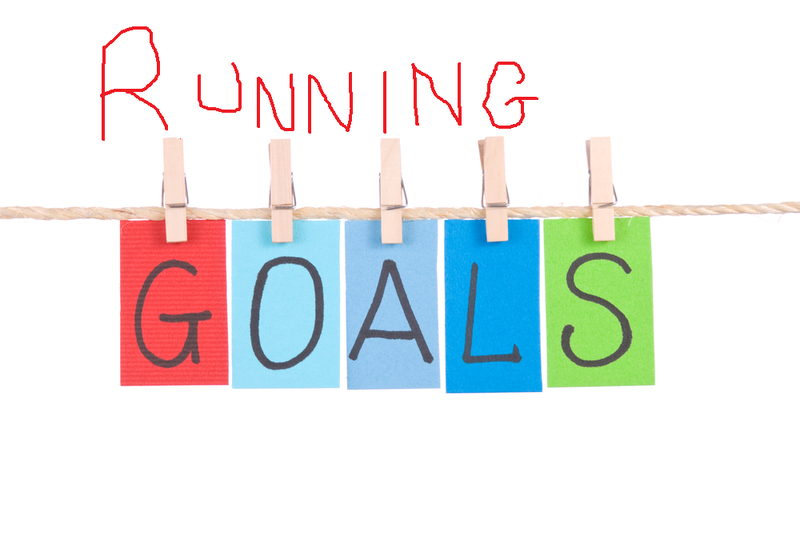 Running goals are a high level overview of what you need to do to get to where you want to be. Of course you can go into extraordinary detail in that plan but don’t be afraid to alter the path. As you get further along the journey you may learn new tactics or discover a better route. Don’t feel that you need to stick to the plan because that’s what is written. Assess your progress along that journey and determine whether it is still the correct path or if it can be done better. Nobody knows when you hit the snooze button, and frankly nobody really cares. But humans want to be respected and hate being embarrassed. When you find somebody to keep you accountable for nailing those training sessions, that little devil on your shoulder will be silenced very quickly! What is the point of life? I don’t know the answer but I do know that I never actually ask that when I’m feeling fulfilled. For me, the simple act of chasing a goal is fulfilling. The goal may or may not be fulfilling but it’s the journey that I thrive on. Don’t let that go to waste. If your plan is good and you do the work, you’ll get there. If you don’t succeed then tweak the plan and try again. Enjoy the process.